The rise of the Davenport is just one chapter in downtown's history. Driving down First Avenue, the sun spilling through high-rises and onto the ornate entrance to the Davenport Hotel, the letters emerge ahead: "RIDPATH." The proximity of the two to each other serves as a reminder of downtown Spokane's tumultuous history: the one that was shuttered nearly 30 years ago now fluttering with activity; the other, once a stay-over for Elvis, now covered in cracked glass and urine stains. 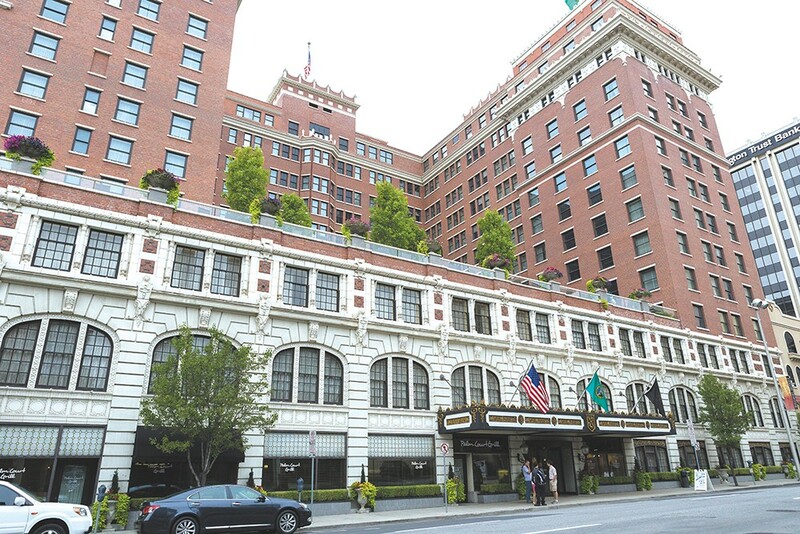 While the revitalization of the Davenport has helped tell the story of downtown Spokane for the past 10 years, the Ridpath could dominate the next 10. Developer Ron Wells' plans to renovate the dilapidated hotel into micro-apartments, planting people right in the heart of downtown, has the city talking about potential. More Spokanites living downtown could help finish the revival that the Davenport and River Park Square began. "I think the Ridpath is honestly one of the last major buildings that is a significant problem, and when it's renovated and repopulated, it will certainly be a big boost to the neighborhood," Wells told the Inlander late last month. A few blocks farther east, a massive hole in the ground marks the latest project from Walt Worthy, the developer who restored the Davenport: a 700-room brand-name hotel across the street from the Convention Center. That project, Worthy and supporters say, will attract more conventions (and therefore convention goers and their dollars) to the city. The projects, paired with the shimmering rebirth of River Park Square and expansion of the Convention Center itself, have brought a new kind of hope to downtown, where lawmakers, developers and shoppers see a bustling commercial and entertainment district. Also breathing new life into downtown are small-business hubs like the block of West Main Avenue between Browne and Division streets. The block, once home to unsightly buildings and businesses, now offers bar/restaurants Zola and Saranac, thrift stores, the local-food-focused Main Market, the Community Building housing progressive nonprofits, vegan bakery and lounge Boots, and science fiction store Merlyn's. "I think people have always wanted this," says Merlyn's owner John Waite of the area. "We would go to Seattle or go to Portland and see these neat neighborhoods. ... I don't think anyone understood what it would take to make that happen, and frankly I don't think anyone was trying. [Then] we got lucky to have the right bunch of people and bunch of businesses here." Waite himself lives on the strip, as does artist and developer Dan Spalding, and it's that kind of "skin in the game" Waite credits for reviving the area. "It's not corporate in any way. It has that local vibe," Waite says. "We have all done this out of our own pockets. It's how we want it." Equipped with in-car laptops, Tasers and soon officer-mounted body cameras, Spokane Police officers will have more tools than ever to prevent and investigate crime. While law enforcement technology has advanced considerably throughout the past 20 years, a department's success still largely depends on how its officers perform out on the street. Looking back at the past two decades, the Spokane Police Department has never had an easy job. But it's striking how many modern disputes reflect age-old frustrations and how many newly introduced reforms seem to echo previous efforts. Tim Connor, a police accountability advocate with the nonprofit Center for Justice, has reported on Spokane law enforcement since 1981. Historically, the SPD has struggled with excessive force complaints, and Connor watched as city officials tried to establish a Civilian Review Board in 1992. Facing opposition from then-Police Chief Terry Mangan, the board dissolved in 1994. Repeated attempts to revive the board since have also failed. As the city continues to debate the introduction of new independent oversight with Proposition 1, passed in February, Connor says he hopes the community will get the police accountability it deserves. "We had a number of strong police chiefs who were just not, frankly, interested in civilian oversight," Connor says, adding. "This is a huge chapter." In 2001, amid local perceptions of racial profiling, Police Chief Roger Bragdon pledged to start collecting information on the race of citizens stopped by Spokane officers. It's unclear, however, if the department ever followed through on that effort, which was to be dependent on funding availability. "Without trust we are nothing," Bragdon said, according to the Spokesman-Review. "We are a bunch of people with guns." Current Police Chief Frank Straub announced in August that the department would start collecting and analyzing racial data on citizen stops next year in accordance with state law and recommendations from the Use of Force Commission. That commission and many other ongoing reform efforts trace their origins back to the death of Otto Zehm in 2006, which sparked a new push for police accountability. The case served as the catalyst for hiring Police Ombudsman Tim Burns to review investigations into officer conduct. Burns says he remains encouraged by some of the recent steps to revise department policies and strengthen disciplinary protocols. He sees many years of frustration coming to fruition. "We've had some measurable results and some clear successes," he says. "It's clear to me that we're still not where we need to be ... [but] I do believe there are better days ahead." In 1993, Mangan won praise for rolling out a grassroots community policing program to embed officers and volunteers in specific neighborhoods throughout the city. Earlier this week, Straub announced new "police service areas" that would include captains and officers assigned to specific neighborhoods. There's no question North Idaho has changed. Coeur d'Alene and Sandpoint have exploded from mining communities to thriving tourist towns in the past two decades. "It's gone from a sleepy-type town to a fairly robust small city," city councilman Mike Kennedy says about Coeur d'Alene. "Fifteen years ago I would drive pretty regularly to go to Costco in Spokane Valley. We have our own Costco now." Yet it's grown in a way that confounds stereotypes, becoming a lot more tolerant, a lot more diverse — just as it's become a lot more Republican. In the mid-'90s, race after race between Republicans and Democrats ended in tight, narrowly fought contests. But something in North Idaho quickly shifted, and it wasn't just the Republican revolution of 1994. As California became increasingly liberal and suffered all kinds of disasters that sent residents fleeing, an exodus of conservative Southern Californians migrated to North Idaho. By 2002, USA Today quoted one of Kootenai County's few surviving Democrats as saying, "This is the most Republican county in the most Republican state in the country." The ideology of national and statewide contests even seeped down into the local nonpartisan races — as school board elections and city council seats became targets of political groups like the Kootenai County Reagan Republicans. There were momentary exceptions to the red wave. Amid a national enthusiasm over Barack Obama, western Idaho elected moderate Walt Minnick — a Democrat — as their representative. But it didn't last long. Two years later, the Tea Party arose, furious about "Obamacare," bailouts and the national debt. Idaho voters passed over the establishment's choice, instead choosing Raul Labrador, who easily unseated Minnick. Today, he's considered one of the House's most conservative members. That growth has also led to a different sort of change. North Idaho, fairly or unfairly, had a reputation of being very white, deeply intolerant and even racist. Across the country, people knew that Aryan Nations founder Richard Butler and neo-Nazis had a compound in Hayden Lake. But North Idaho has responded. When Butler marched, the community protested, raising money for human rights organizations. In 2000, a $6.3 million lawsuit judgment took away Butler's compound. He died in 2004. 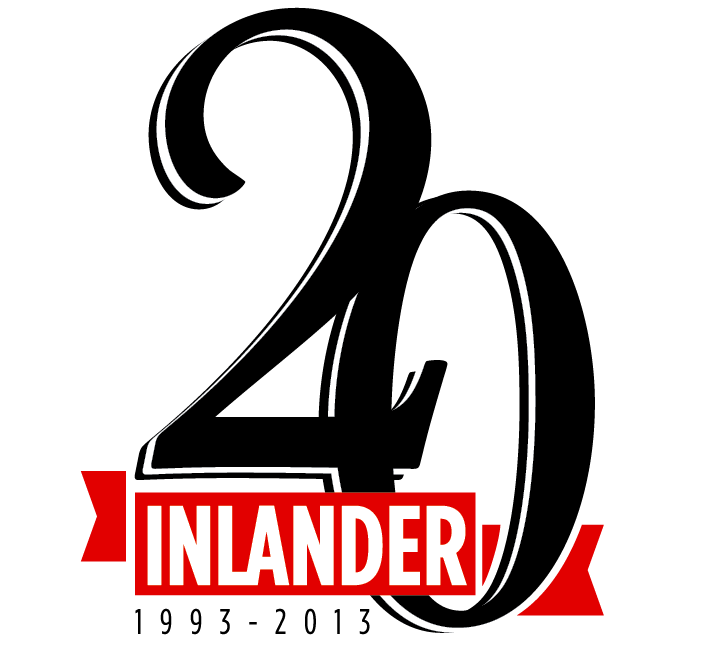 Recently, Sandpoint and Coeur d'Alene have passed ordinances to prevent local businesses from discriminating on the basis of the sexual discrimination — unthinkable 20 years ago. While books like Searching for Whitopia have made a lot of the still-homogeneous composition of North Idaho, they may miss the bigger trend: Idaho's a lot more diverse. "There's been a tremendous change in the demographics [from 2000 to 2010]... Kootenai County had the fastest growth of the minority population in the nation," says Tony Stewart, founder of the Kootenai County Task Force on Human Relations. "When Richard Butler came here in 1973, his comment was that this would always be a white population. He was trying to discourage diversity. He failed." Looking at the region from a certain altitude, it can seem Spokane politics haven't changed much in the past two decades. But look closer. Big things have changed. A mayor was recalled, mentions of the River Park Square controversy have all but vanished, and the way city leadership governs looks wholly different than it did when we put out our first issue. In the days before today's strong mayor model, the "mayor" title would better be described as "glorified city councilmember." In those days, the person elected mayor made more money than his or her counterparts, but didn't have the powers of the mayor today: appointing department heads, vetoing legislation, proposing her own budget. The initiative, passed in November 1999, modeled the city's legislative and executive branches after those in the federal government, with city councilmembers representing districts across the city and the council president elected at large by the whole city. The margin of victory was narrow — less than 2 percent — leaving a lingering taste of the divisions that led to unhappiness with the previous system. "When you come into that, literally half the folks in the community already have their arms crossed, saying, 'I didn't want this form of government," John Powers, the first man to hold the new job, tells the Inlander. Powers didn't support the change before it passed and lost his bid for re-election, but he believes the model turned out to be successful in creating "one desk in City Hall where the buck would stop" and paving the way for leadership on big initiatives like the University District and wooing aerospace companies to the region. Alongside structural change, Powers says he believes diversity in thought is spreading in Spokane as more and different people get involved. "The influence within the leadership of the community in city hall, institutions, chamber of commerce and others was pretty focused right around the heart of the city, the downtown," he says. "There wasn't as broad of participation and input as I think there has been over the last decade. Community activism and some grassroots initiatives have come to the forefront in the last 10 or 15 years. I think that's a good thing for the community."